Grief can do strange things to a person’s mind. It has been a year since Poppy’s husband, Jack, was brutally murdered in Manhattan’s Riverside Park during his morning run, but the wounds are still fresh. She has tried to move on – even gone so far as to try dating other people – but no one can compare to Jack. The worst part is that the case was never solved – the weight of the mystery hangs over Poppy like a thick pillar of smoke, blurring her vision, stopping her from seeing anything clearly. Then, some disturbing things begin to happen. After spiralling into the oblivion of grief, Poppy disappears for several days, only to be found ragged and confused, wearing a red dress that is not her own. With no recollection of those days, Poppy wonders constantly about what happened to her. Nor can she shake the feeling that the person responsible for her disappearance is somehow linked to Jack’s murder. Things gets stranger still when Poppy begins to experience terrible nightmares and blackouts. Unable to remember entire periods of time, and no longer capable of differentiating between reality and her imagination, Poppy grows increasingly paranoid. She can’t shake the feeling that someone is watching her, and it isn’t long before she finds herself trapped in a dangerous game of cat and mouse as she tries to unravel the mystery of her husband’s murder. Will she be able to handle the truth of what happened? Or has she totally lost her grip on reality? 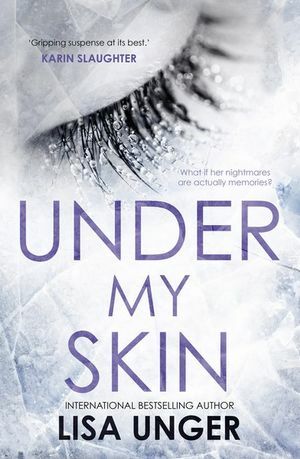 Under My Skin is a compulsively readable thriller by New York Times bestselling author, Lisa Unger. Centred around Poppy’s tragic loss, the book explores the ways in which grief can alter our minds, blurring the lines between reality, dreams, and memory. The psychological suspense sustained throughout the novel is electric – Poppy’s mind is a maze, mysterious and complex – and, once you’ve begun, there’s no putting the book down until you’ve reached the final page. If you’re looking for a thriller that not only gets your heart pounding but also gives you some insight into the complexities of the human mind and heart, then Under My Skin should be next on your list. While there are puzzles to be solved and clues to be deduced, Unger’s new book with its beautifully crafted characters and astute observations of someone navigating extreme trauma and loss, is a refreshing change from your usual, run-of-the-mill murder mysteries. The result, Under My Skin, is a masterfully woven web of emotions, suspense, and dream-like writing. 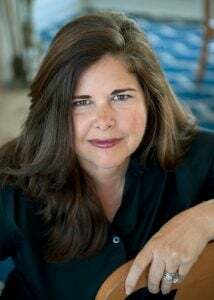 Lisa Unger is the New York Times and internationally bestselling, award-winning author of sixteen novels. Her new release UNDER MY SKIN is named one of the most anticipated and top thrillers of fall 2018 by BookBub, Bookish, Library Journal, PopSugar and CrimeReads.